Like most people, I am also battling my body and my will during this fast day of Yom haKippurim. It is a long day, being one of the few full day-long fasts in our calendar. This is especially rare this year, as this very solemn day of rest is also paired with the weekly Sabbath day of rest. Normally we do not fasts on Shabbat. However as our tradition considers this day of atonement a thing of pure joy, the regular festive meals are suspended as we feast on some deep prayers and reflections. And during this holiday we certainly have many helpings of prayers. This holiday of Yom haKippurim – the day of atonements – we recite our central prayer duty, the Amidah no less that five times (Ma’ariv, Shacharit, Mussaf, Minchah, and Neilah). I am sitting here considering the words of the final prayer, the Neilah – the closing of the gates of teshuvah (repentance) and heaven. I would like us to explore the concept of atonement, through the aid of this prayer and the scriptural context from which it is drawn. Here we are asking G-d, for the last time, to forgive our avonoteinu – our wrongdoings. To wipe away our p’shaeinu v’chatoteinu – our transgressions and our sins. This prayer is an important one to me, because neilah is always a tearjerker. It has full urgency, as it is our last chance to repent. We don’t want to get left outside of the gates of repentance. But at the same time it comes with all the exhilaration of accomplishment for those who engage it. All the senses are firing at once. I would like us to look at the basics of why we go through this process at all. We will find the answer provided for us straightaway, here during the height of the High Holy Days, during the pinnacle of our celebration here in the Neilah prayer. There is one simple point that drives this holiday. We do all this simply because G-d wants to forgive us. We aren’t trying to necessarily convince G-d to forgive us, its has more to do with us getting in-line with the spirit of atonement and the theme of forgiveness for ourselves. This kind of perplexes us Jews. Because as reasoning people, and knowing the Torah, we understand that the true way to atone is to ask forgiveness from the people that we have sinned against and to remedy the wrong. We have been doing this work of teshuvah (repentance), revisiting the situation and setting it right, for some weeks now. We aren’t atoning by asking G-d to forgive our interpersonal wrongs, nor our lapses in ethics. That we must do for ourselves, with the people affected. Hopefully at this point most of our ethical and moral issues have been dealt with and considered. So why is it so heartfelt for us at this point in the service? Why does it shake us in such a way through to our very core? This is because what we are dealing with now is the issues that are between us and G-d, and between us and ourselves. Often times these prayers of Yom Kippur are heavy with prayers of forgiveness for the wrongs that we have done against ourselves and G-d alone. The things deep inside of us that need to be settled, the places that are tremendously hard to reach and painful to touch. Things that can only be settled on a heart-level. As we approach this prayer I would hope that we can say it with all joy, because we have remedied our wrong deeds and are ready to stand atoned and forgiven. We should feel overcome by a sense of relief. Why should we stand upright now with a sense of celebration and awe? It is because we can stand forgiven if we chose to make it so today! Who is the guarantor of this pardon that we should acknowledge it? G-d declares to us that He is the one that forgives our sins, it is He alone. And He does this “l’maani / for My own sake.” Just because He wants to! What of the guilt of our sins? Of our sin’s, He says that He chooses to remember them no more. The text of the prophet Isaiah from where this is drawn actually gives us a good look into not only why G-d wants to forgiveness us in this way, but also why it is important for us to set a day for atonement aside. This verse can be found in the paragraph of Isaiah 43:22-28. For a moment G-d calls out to us, like a long-lost parents during the holidays. You can hear the almost distinctive tone of a Jewish mother in the voice of G-d here. You haven’t called on me or even bothered to remember me. You haven’t troubled yourself on account of Me, G-d says. Even more interestingly, He starts out by saying in verse 22 that “v’lo oti karata / you haven’t called out to me,” not even when you needed help. That is so like us, to call out only when we need something, so He mentions that form of outcry first. But here G-d is calling out to people who don’t even have the impulse in them for that. Rashi says instead they called out to idols to help them. That’s how distance the relationship has become for some. G-d also calls out something remarkable to us. He calls out to the people who haven’t been bothered to offer sacrifice. People who haven’t bothered to offer any offerings up for G-d. What is so astounding about this verse is that even as it accuses the people of not sacrificing or giving offerings, G-d says, “I have not burdened you with grain offerings, nor wearied you with incense offerings.” (v.23) In this verse Rashi take the tone a little more directly for us at this point, saying that G-d indeed has not burdened us, in fact even the grain offerings of the Temple itself only required a mere handful. Of being wearied, Rashi chimes on how quickly we can grow tired of our service before Him. We are too tired to care, even when all He is asking is that we show a pinch of conviction and regard in our daily lives. And this is really what the majority of the Yom haKippurim is spent doing. Not just feeling penitent for our wrongs, but also focusing on how to “titz’dak,” how to get right. Even if we are already right with other people, sometimes we aren’t exactly right with ourselves and G-d yet. We hold the weight of guilt and shame hanging our shoulders. The pressure of all kinds of wrongs and moral failures that we are grieved over, for which we still hold ourselves accountable for. But we are asked to give it up, because G-d wants to relieve us of that for His own sake. Just because He wants to, because He thinks it’s best for you to live a life free and justified in your own being. G-d doesn’t want to remember anymore, and neither should you. These words in neilah are one last chance to deliver this message. For me these are some of the reasons the prayers of neilah are so beautiful. It drives such a beautiful message home for us: Not only do we need to seek out atonement, but we also need to be willing to accept forgiveness for ourselves. As we approach neilah I would ask us all to just hold on through one more prayer service. We are almost there, we can see the finish line. Put all your energy into the final stretch of this marathon of teshuvah (repentance). As we come together for this last tefillah and service before Hashem, let us fully embrace this prayer with equal joy and awe. And with confidence, knowing that our heartfelt prayers of repentance and atonement have been heard. We can now let these gates close, our work is done. So raise your voices high, this is just an encore! Do we say the Midnight Rite During Spring and Summer? When I originally wrote “Tikkun Ḥatzot: Getting Right at Midnight: Introduction to the Midnight Rite” as a scholarly and historical piece to accompanist the release of the Nusach haAri z”l (Chabad) Prayerbook text I explained that many people take on this practice during the winter when the nights are long. But I failed to answer the question of how we apply this during the spring and summer when nights are shorter; mostly because this was answered in the actual siddur release itself. I didn’t keep in mind this would not be shown by most search engines, so I’ve received a lot of requests for an explanation. To help answer this I am posting the actual instructions (with only one additional line of advice from the Tanya, in bold near the end; this will appear in all future editions to be released, bizrat hashem) from the Open Siddur Project release below (written by yours truly). Also see the links below to download your copy today! Hopefully before the seasons change again I will be able to translate a fresh English translation. For a detailed description of the rite, refer to the aforementioned introduction. There are some general rules to keep in mind, we do not recite Tikkun Rachel on days the Tachanun confession is not said (this applies to the entire month of Nissan, as it is an entire month of celebration). This applies to Shabbat and Festivals – including Pesach and Pesach Sheini, Lag b’Omer, and the period from Rosh Chodesh Sivan until seven days after Shavuot. In the fall/winter months this will also apply from Erev Yom Kippur until the end of Tishrei, all of Chanukah, Tu biShevat, Purim and Shushan Purim. It is the custom of many Sephardim to not say Tikkun Rachel at all during the Sefirat haOmer. Some also choose to omit Psalm 20 and Psalm 51 from Tikkun Leah. On Tisha B’Av most Sephardim say Tikkun Rachel while omitting Tikkun Leah. The scriptures tell us “Arise, cry out in the night, at the beginning of the watches, pour out your heart like water, facing the Presence of G-d.” (Lamentations 2:19) It is the custom among the pious to rise up during the night and pray for the rebuilding of Temple and the redemption of Jewish People. The ideal times appointed for saying this devotional prayer is at the true celestial midnight; which is the actual midpoint of the night. This will vary depending on the season and location. The Baal HaTanya (S.A.HaRav; MB, Hashkamat HaBoker, 1:8) teaches us to calculate this as 12 hours after high noon, when the sun is directly overhead; this is agreed upon by many authorities including the Ben Ish Chai (Vayishlach §4). If one finds they cannot say Tikkun Chatzot at the appointed time then it is appropriate to say it at the first third of the night, or the second third of the night; or the end of the night, up until 1 hour before sunrise. There are various automated Zmanim resources available online, such as at Chabad.org or MyZmanim.com, that will calculate the halachic times for your location. If one rises to say these prayers and has slept during the night then one should say “The Morning Blessings” and the “Blessing of the Torah.” If one woke up before it’s time, one should wait until chatzot (true-midnight) to say these blessings. However, if one cannot sleep and has awoken early then one may say the “Blessing of The Torah” and study until chatzot, then say “The Morning Blessings” and repeat the “Blessing of the Torah” together at that time. One will not have to repeat these blessings later, even if they return to sleep; their requirement to say them for that day has already been fulfilled. The prayers of Tikkun Chatzot are divided into two sections, Tikkun Rachel and Tikkun Leah. The central theme of Tikkun Rachel is mourning over exile and distress, and therefore is not appropriate to say on days of celebration. However, Tikkun Leah carries the theme of praise and longing for the Presence of G-d.
Tikkun Rachel is only said on days in which Tachanun is said; it should not be said on days of celebration, including Shabbat and Festivals. Tikkun Leah, according to the Ashkenzi tradition, may be said on days even when Tachanun is not said; including Shabbat, Festivals, minor holidays, etc. (it is the custom of Sephardim to not say Tikkun Chatzot at all on Shabbat or Festivals). When saying Tikkun Chatzot, it is the custom to sit close to a door that has a mezuzah affixed to it. It is to be said in a solemn tone, being sang according to the melody of Lamentations or merely read aloud. Instructions: One should take a cup and fill it with water, lift it with the right hand, pass it to their left hand and pour the water over the right hand up to the wrist. The cup should then be passed from the left hand and over to the right hand, and poured over the left. 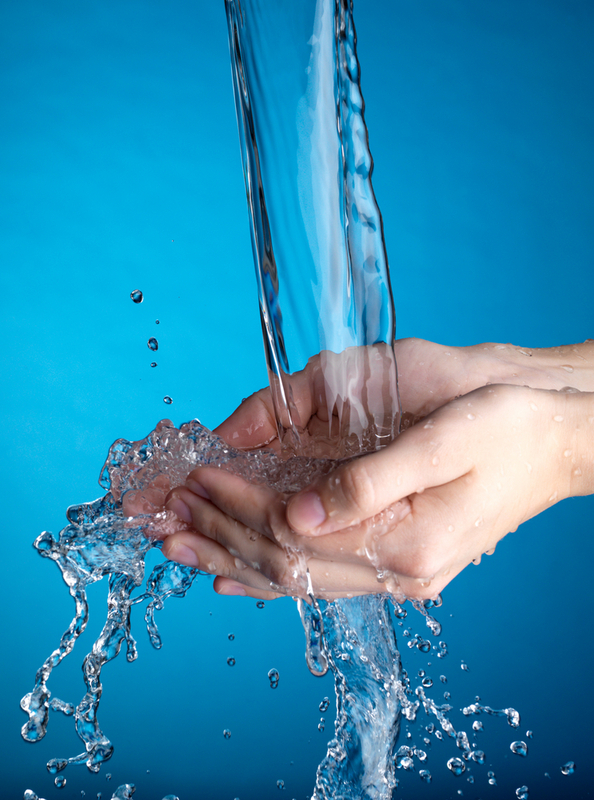 One should then continue to wash the hands twice more, passing the cup back and forth so that one has rinsed each hand three times, in an alternating fashion. One should then recite the blessings. During our study concerning to the ritual Morning Washing we learned that the reasons why we wash immediately upon arising is to purify ourselves of uncleanliness that we might have come in contact with during the night; specifically from touching or scratching our bodies or orifices as we slept. Besides our concern about spreading this to our other body parts, we are taught by our sages that we should begin our service before G-d with pure intentions. However, it was noted that we do not say the blessing of Netilat Yadayim – the blessing for hand washing – during this first washing. This is because we were not going to engage in any spiritual activities immediately, instead we are going to take care of our physical needs. We reserve the blessing of Netilat Yadayim – the blessing for washing – until after we have completed these necessities and are fully dressed, pairing it with this blessing of Asher Yatzar – commonly known as “the bathroom blessing” by many. These are a couple of the most common blessings in Judaism, however their combination during our morning avodah is a unique occurrence. People often feel confused over when one should say either one of these blessings. This is because most siddurim ambiguously place these two blessings among the morning blessings, without any indication as to when it is appropriate for us to say either. Today we will discuss the halachot for these blessings in our morning ritual, and then explore their normative re-occurrence in our daily practice. ‘Asher Yatzar’ until one relieves himself. For the first washing of the day we primarily concerned ourselves with cleanliness. We are taught that upon awakening we should be careful to not touch any of our orifices with our unwashed hands for reasons of health and hygiene. (Shulchan Aruch, Orach Chaim, siman 6) However, some of the first activities most people engage in once they get out of bed is to go to the toilet and wash-up in the bathroom. If one slept at all at night one must wash upon awakening before going about using the facilities, though only a simple washing is required. We do not say a blessing the first time because we are not going to be immediately engaging in any mitzvot. Simply put, we wash the first time to be able to use the restroom and dress ourselves unsoiled. during the middle of prayer. We should use the facilities after we dress because we are going to begin to pray, and we should not interrupt our devotion. Naturally the question arises when we consider his instructions, where are we washing and blessing? Is it at the synagogue or is it at home? 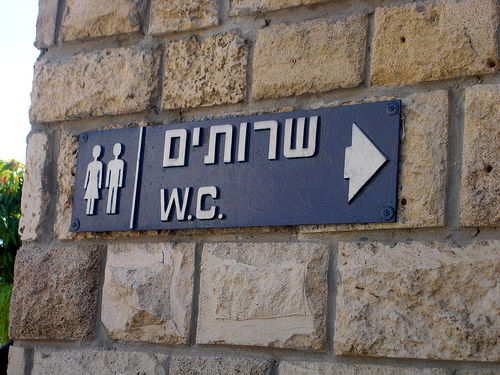 The Baal haTanya has us outside of the restroom in his description, naturally some assume this must be at home. The answer is more precisely present by the Maran – Rabbi Yosef Karo in the original Shulchan Aruch. rest of the order of the blessings. The Maran tells us that it is the custom of some to say all their blessings with the congregation at the synagogue; but that is not the custom of the Sephardic community, which he represents. What he doesn’t plainly say is that they instead say their morning blessings at home, so that they only need to say the communal prayers with the rest of the congregation. Then why do Sephardim not say these blessing with a congregation? The Rema (our Ashkenazi master who provides the halacha of Eastern-Europe in his glosses to the Shulchan Aruch), explains to us that the only time this does not apply is when one is going to learn Torah before he gets to the synagogue. We are not to engage in words of Torah without ritually washing and say the the Torah Blessings. If one is going to discuss or learn Torah at home, they must first wash and bless. It was also a well established custom for Sephardim to say slichot and Tikkun Chatzot, which are said prior to the morning services, most often at home. Sephardim follow the tradition of the Ari z”l, the Kabbalist Rabbi Yitzhak Luria (Shaar haKavanot, brought down by the Kaf haChaim 6:3), who prescribes that one say blessings during their morning activities when appropriate at home; to do this we must first wash and bless accordingly. one should not say the blessings twice. at home immediately after the washing. which are not to be recited a second time. And this is the halacha by the Chassidim to this day, that one wash immediately before Shacharit – the morning prayer service – with a blessing. However, in actual practice it is more prevalent for one to wash with a blessing at home in order to learn, say slichot, Tehillim, Tikkun Chatzot or take on other personal forms of devotion (and in some cases, to eat breakfast; if ones minhag permits). The Baal haTanya though again brings up an interesting reason for washing before praying at the synagogue, it is the general halachic principle that one say blessings immediately before engaging in something and not after. We discussed this last week when we considered the kindling of Shabbat candles, which is also a strange mitzvah in that most people bless after the lighting. The Baal haTanya tell us to say our morning blessings before Shacharit because blessings come before performing any mitzvah. This is a wonderful reason. But notice it does hint at another oddity, we are actually washing and blessing Asher Yatzar after using the facilities. How is this? Consider this, the reason we bless after we wash is because it is not appropriate to bless with filthy hands; we cannot say a blessings before we wash so we say it as soon as we are able to, once they are clean. In the same vein we cannot bless for using the toilet before we have actually done so. In addition it is not appropriate to bless in a restroom either or with soiled hands; so we say Asher Yatzar at the first chance we get, which is immediately after the washing with a blessing once we leave the restroom. We should not delay in saying our morning blessings, if we are required to bless for any reason we should do so. Yet we must keep in mind that once we begin the process of blessing we must continue with any order of blessings that might be conjoined to the ones we are saying. For example, the Netilat Yadayim should be said along with Asher Yatzer in the morning, and Asher Yatzar is also said along with Elohei Nishma without any interruption in between them, etc. Question: Do we bless after we wash our hands when we use the toilet? Answer: After using the toilet the first time during the day, we wash with a blessing. Only this first time, no matter how many times we go the bathroom during the day. Question: When do we say Asher Yatzar? Answer: Every time we use the toilet we should say this blessing of gratitude for our proper bodily functions. Question: Does it matter if we urinate or defecate? Answer: If we pass even as much as a drop of water we should bless once finished relieving ourselves, immediately after we wash. Question: Do we wash with a blessing at home or shul? Answer: One should follow the custom of their community, Sephardim and Kabbalist at home, and Ashkenazim at the synagogue. However, everyone is required to wash if they intend to engage in Torah learning or sacred acts prior to going to shul for Shacharit. Question: If one says the blessing at home, should they say them with the congregation? Answer: No, one should not repeat the blessings. They should merely respond “amein” to hearing them being recited if they are said by the shliach tzibur or the congregation during the service. One of the wonderful things about Kabbalistic devotion is that you can practice it at any time of the day or night. Our tradition has so many prayers, rituals and meditations that you can find something for just about any situation. Do you find that you don’t have enough time in the day for prayer and meditation? Well, don’t worry there are plenty of hours in the night too! During the winter, when the nights are longer and the days shorter, it is the custom on many pious people to take on saying Tikkun Chatzot. As we are now in that season I would like to once again share this study and liturgy. Special thanks to Aharon Varady of The Open Siddur Project for his input, and great skill in editing and formatting. Curious students who have spent much time digging through treasuries of great prayer books often notice the Tikkun Ḥatzot. It’s almost impossible to miss in most Nusaḥ Ari z”l and Sepharadi siddurim, being placed right in the middle of the morning prayers and followed by a pretty good helping of suggested study material such as mishnayot, Zohar, or other kabbalistic tracts. The popular practice of a night time prayer vigil is not well understood. In the siddur, most people pass by it because they don’t know what to do with it. Others are confused because of the lack of consistency in its presentation from one siddur to the next. At the end of the day, this ritual would be regarded as a rite reserved for the pious — for the great tzadikim who made regular use of it. Lamentations 2:19 would be the basis of the first section known as Tikkun Raḥel, after the biblical matriarch. Because Raḥel was known as a biblical example of suffering and heartache (see Jeremiah 31:14-16), the Tikkun Raḥel was sanctified as a time for people to let out their inner most sufferings and cry out to G-d. This would be the basis of formulating the second part, Tikkun Leah, named after the other matriarch of Israel and wife of Jacob. This section would be comprised of prayers and songs of praise for salvation, to raise one out of despair after pouring out their heart. 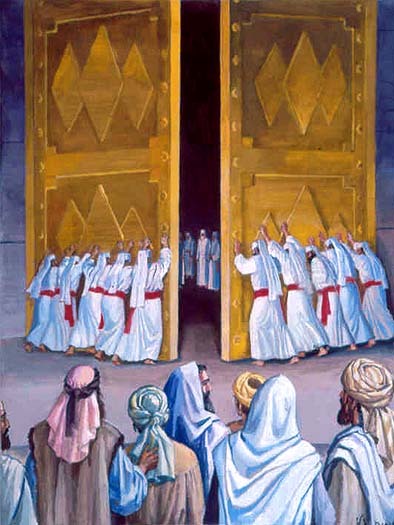 It was understood by the Rabbis that when Israel went into exile the Presence of G-d also descended into exile with us. This was understood as a moment for one’s soul to attempt to cleave to G-d. One would reflect and take comfort in G-d being close to us and our trouble; thanking Him joyfully because He is always faithful to save. Likewise following their understanding of Psalms 134:1′s reference to “standing in the house of G-d at night” as meaning standing at the bimah learning, they deemed it was appropriate for one to study the Torah at night. Thus was added the custom of studying mishanyot, Zohar, or other mystical works at the end of this prayer vigil. The rabbis thereby found a justification for nighttime prayer and study. They thus formulated from our tradition a very stirring custom of personal devotion. Because this often meant people interrupting their sleep in order to fulfill this tikkun it was placed after the blessings one says when they awake, where it now is placed in most all Nusaḥ Ari z”l siddurim and comprehensive prayerbooks of the other traditions. א. כארי לעמוד בבוקר לעבודת בוראו, שיהא הוא מעורר השחר. ב. המשכים להתחנן לפני בוראו – יכוין לשעות שמשתנות המשמרות, שהן: בשליש הלילה, ולסוף שני שלישי הלילה, ולסוף הלילה, שהתפילה שיתפלל באותם השעות על החורבן ועל הגלות רצויה. ג. ראוי לכל ירא שמים שיהא מיצר ודואג על חורבן בית המקדש. 1. One should strengthen himself like a lion to get up in the morning to serve his creator. He should get up early enough to welcome in the dawn.2. One who wishes to get up early and pray before his creator should try to do so at the times where the angels change shifts. 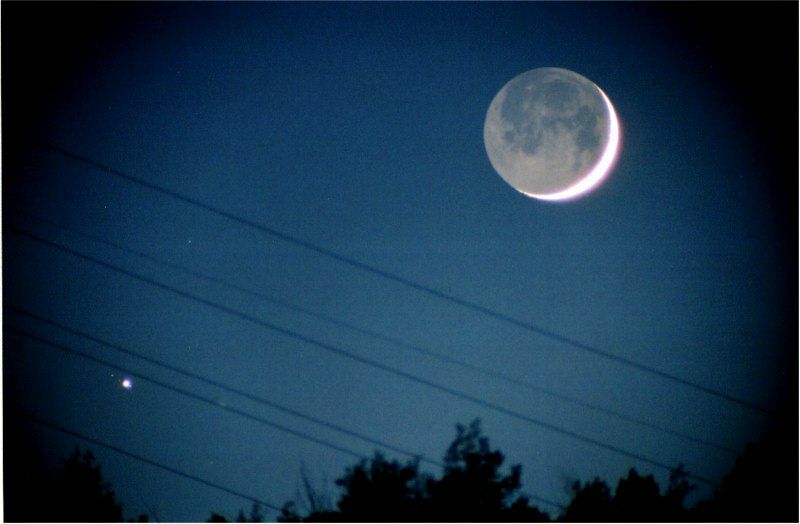 This occurs after one third of the night, after two thirds and after the night is over. 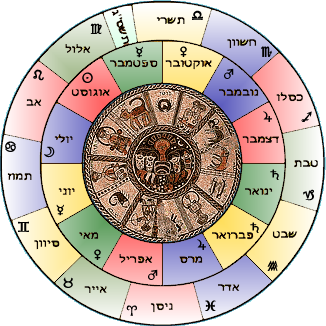 Rav Karo and his circle of kabbalists in Tzfat made a structured service for the change of shifts around midnight — the Tikkun Ḥatzot (literally, midnight rectification). This practice, as most of the liturgy that was adopted by the mystical schools of Eretz Yisrael, was based on a Sepharadi liturgy. It would be comprised of several prayers, confessions, Psalms, Lamentations and other scriptural passages relating to the churva – the destruction that led to exile. Over time various communities and schools of thought added liturgical dirges (kinot) and meditations to it that were written by kabbalist rabbis. In the Ashkenazi tradition many kinot were added to the readings and would eventually make up the majority of the Tikkun Ḥatzot in some cases. The Sefaradim, however only added yichudim (literally, unifications) spiritual meditations for arousing the presence of the Shechina – the Presence of G-d — to help bring about a tikkun olam, healing of the world. The Ari z”l adopted the Sepharadic liturgy when he settled in Eretz Yisrael, bringing these yichudim into his nusaḥ. When the hassidic movement coalesced in the early 18th century, it followed the example of the Ari z”l, and the Tikkun Ḥatzot was absorbed into their siddurim. As the Nusah Ari z”l predated the authorship of the kinot, hassidic siddurim did not contain them. In later years other ḥassidim would adopt kinot and yichud. Rebbe Naḥman of Breslov would also use Ḥatzot as an opportunity for practicing hitbodedut – heartfelt personal prayer and meditation. When the Baal HaTanya [Rav Shneur Zalman of Lyadi] formulated his siddur, his general approach was to make the text usable for people of all traditions. One of the ways of harmonizing was to not add the various lengthy liturgical songs and poems that were different from place to place. He focused more on the actual prayers and the scriptures; what was necessary for the common man. Likewise he also dropped the Yichud from his siddur in almost all cases, as being non-essential. In the Siddur Torah Ohr of the Baal HaTanya (the ḤaBaD siddur that predated the now more widely used Siddur Tehillat Hashem) the Tikkun Ḥatzot was placed at the end with many various prayers and rituals that were paired with study material. As previously stated, the Baal HaTanya edited his text based on logical variances he applied broadly to his siddur, his selections follow the same framework here. The only variance aside from that is that he did not include the confessions (Tavo L’fanecha and Ashamnu) as he saw it being of such importance that he included it in the Bedtime Shema said before one goes to bed so that one would not miss out on it if the nights were short and would not be able to wake up for Tikkun Ḥatzot. This ritual would never become commanded, it would always stand as an optional form of devotion; though the Baal HaTanya would encourage people to attempt to sayTikkun Ḥatzot at least once a week, preferably on Thursday night (prior to Erev Shabbat). Below is the official ḤaBaD text and structure presented for the first time in our generation, taking its place with the rest of the Baal HaTanya‘s liturgical work. To make this text broadly usable, and in keeping with the sections of the Nusaḥ Ha-Ari z”l I have previously presented, I decided to write all new instructions in English. I also added the confession in a shaded box, for people who follow this custom. This one ritual stands out as an example of Jewish innovation, designed to work with the time one had at their disposal. No longer was one mostly constrained to practicing their devotion during the daytime hours — in keeping with the schedule of the farmer that rose when the rooster crowed. If one was to stay up all night, or get up at midnight, or get up with the change of the guards in their city; these were all appropriate times to do something spiritual as well. Likewise it also showed the importance of giving a spiritual place for people to express their deepest needs, with tears. From The Holy Scriptures According to the Masoretic Text Lamentations 2:19. Jewish Publication Society:1917. From “Shulchan Arach: Halachos of a person’s morning preparations: Chapter 1 – Laws of awakening in the morning..” Translation by Jay Dinovitser. Accessed December 12, 2010. “In our bereaved generation, however, when not all are capable of turning their hearts instantly from one extreme [to the other, from humility to joy], it is advised that teshuvah tata’ah be practiced earlier, at Tikkun Ḥatzot. [This is an especially appropriate time for the spiritual stocktaking that leads to the humility of a “broken and contrite heart],” as noted above. Whoever cannot do this nightly should maintain an absolute minimum of once every week, before the Shabbat.”. “Tanya: Iggeret haTeshuvah §10”, Rabbi Shneur Zalman of Lyadi. Accessed December 12, 2010. “Despite the Previous Rebbe’s joy at the Rebbe’s arrival, his poor health prevented him from coming to greet the Rebbe personally. Instead, he delegated four of his elder chassidim: R. Yisrael Jacobson, R. Shmuel Levitin, R. Eliyahu Simpson, and R. Shlomo Aharon Kazarnovsky. By way of introduction, he told them: ‘I will reveal to you who he is. He recites Tikkun Chatzos every night. He is proficient in the [Talmud] Bavli by heart, together with [the glosses of] Ran, Rosh, and Rif, the [Talmud] Yerushalmi together with its commentaries, Rambam, and Likkutei Torah with all its references. Go and greet him.’” “Paths of Providence: Greeting The Rebbe” SICHOS IN ENGLISH. Accessed December 12, 2010. A couple of weeks ago my friend Brad sent me a lovely article by Rav Jonathan Sacks, Chief Rabbi of United Hebrew Synagogue of the Commonwealth of the United Kingdom titled “Holy days are an annual check to mission drift.” On this note I started the new year. As with most Jewish people, the coming of the High Holidays are profoundly important to me. Thoughts of years past come rushing to the forefront of my mind. There are so many memories to sort through. Each year unique, each memory cherished in their own way. It is especially so for me, as someone who has returned to observance from secularism; a baal teshuvah. Like many people, it was during the awesomeness of this time of year that I one again found myself and returned home to yiddishkeit (Jewishness). I celebrate this season as my homecoming. As I began to reminisce I was taken back to a conversation I had over a decade ago with a friend of mine. At the time I was a young secretary working for the Reform movement, who had made friends with a Conservative cantor that also work in the same office. We would often discuss the upcoming liturgy and holidays. One day as we were discussing the uniqueness of the High Holiday liturgy he asked me what I thought was the most profound moment of the services. Without questions I blurted out “the kneeling.” As I related this to him he smirked and we discussed dozens of unique stories we had for ritual prostration. Of all the positions I can think of, the position of kneeling is one that is the most uncomfortable for the Jew; but not so much a physical discomfort, but an internal discomfort. Unlike other religions, the position of kneeling is uncommon and unfamiliar in Judaism. And even when present, kneeling is not an end in and of itself. It leads to the rare occurrence of prostration. Under persecution the key words of bowing to vanity and nothingness disappeared from the liturgy at several times through out history. Ironically as these words disappeared in the European liturgy, the tradition of bowing also fell into disuse independently of this liturgical imposition. 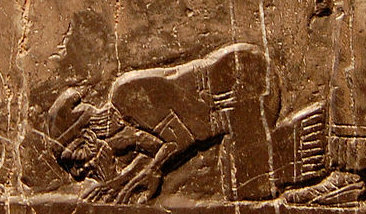 It has been assumed the reason kneeling fell into disuse was in order to avoid the appearance of following practices of Christians and Muslims. It would not be until the Chassidic movement, which incorporated the Nusach Sephard into the Ashkenazi tradition, that the full Alenu would be restored and the tradition of prostration would also once again be incorporated into the High Holiday services. But naturally this impact was first limited to the realm of Chassidut and not to Eastern Europe at large. With the incorporation of prostration into the liturgy it was understood that it would follow the general halachic premises (Jewish laws) regarding prayer; when bowing one should only bow facing the eastern wall towards the Aron haKodesh (Ark of the Torah Scrolls), towards the direction of Jerusalem, and one should not bow facing any object. Legal discourse is rich with statements to avoid even the appearance of bowing towards any object or image. So much so that the tradition for many orthodox is not to even bend down to tie ones shoe; if one needs to tie their shoe, one lifts up on something like a stool or such to tie their shoe. Through persecution there also became and unwillingness to bow. Our unwillingness grew to be a resistance. As Jews our protest to idolatry begins even before the thought of praying to another god, in that we cannot even take the position necessary to show sincerity. It became ingrained into us to bear an unwillingness to bow to another oppressor, because we bow to no man, just G-d. It grew to be a symbol of confidence before our G-d, and pride as individuals. As liberal Judaism grew, being an outgrowth of the Eastern European tradition, it did not see necessary to take on the tradition of prostration. Only later would it be discussed and rejected as an unnecessary ritual of Temple origins we no longer follow, and secondly some objected to it as a demeaning position. Kneeling and unnecessary bowing thus in American Judaism became a faux pas to always be avoided. One of the stories my cantor friend related to me was once being at a service at a distinguished Conservative shul in West Los Angeles, he described the chaos that ensued because two Jewish men from Yemen (where ritual prostration is known daily) fell on their faces flat out on the floor when the Torah was taken from the Ark and passed before them. We both laughed in hysteria because we both knew, without stating it, the type of tongue lashing they would receive. It would go something to the tune of, “We don’t do that, we worship with dignity! When Jews worship we stand. Think about it, our most central prayer is the Amidah, which means to stand!” Though the castigating individuals would be right in principal, they would be wrong in that the position of submission is not forbidden, its just rare and allowed only with cautious use. I guess for this reason it is so awesome an experience for me when it happens. I have found that every years, the single act of bowing, kneeling and laying my head to the ground comes with great emotion. When everyone, small and great, comes and bows before Hashem. It is done with carefulness, purposefully, one bows exaggeratedly long bearing in mind that they are fulfilling a great and rare mitzvah (commandment). For a moment we step back into a Temple era tradition that is both humbling and uplifting at the same time. We bow to recognize two things; G-d as our King on Rosh haShannah, and our need for sincere repentance on Yom Kippur. It is reminiscent of the age honored tradition in constitutional monarchies of Kissing Hands. It was the tradition that the Prime Minister at the start of their government would come before the sovereign and they would kneel, to be commanded that upon arising they are to go about the task of opening parliament. Though today there is most likely no kneeling, or actual kissing of hands, this ceremonial first meeting still takes place in the United Kingdom. Tony Blair has stated in the past that he found the tradition to be inspiring, in that it reinforces the concept that one is accountable to someone other than themselves. I think it is wholly appropriate that at the Jewish New Year we are called as our first act after after offering up our worship to G-d, to bow down and acknowledge Hashem as King, and only then do we get up to go about all our other tasks. For me it has become a moment of pure reverence, and secretly inside my heart a relieving moment in which I get to show my weakness before an all enabling G-d. My strength is shown not in how fiercely to attention I stand, but by my ability to compose my unruly self and show submission to godliness. It would do us well as Jews to seek to keep this traditional form of submission to G-d. That once a year we refocus ourselves, with the holiday seasons coming again to remind us of where we are at in our year, and pointing us joyfully towards the blessings of a renewed year. And during this most holy season we not only bring ourselves in line with the seasons, in this call of submission to G-d we are collecting ourselves to make sure our hearts are in line, focused on proliferating the greatness of the Name of Hashem our G-d. It would do us all well to bow down, and not arise until we are sure that our hearts are focused “lifnei melech, malachei hamalchim, hakadosh, baruch hu / towards the Supreme King of Kings, the Holy One, blessed be He.” More than just reminiscing on the past years, lost in memories of where we have been and have far we have come, we should focus on the directions of our hearts. Modeh ani lifanecha melech chai v’kayam shehechezarta bee nishmahti b’chemlah. Rabah emunatecha. Last time, in our first installment of this series we touched on the idea of Shiviti Hashem – placing G-d before us, recognizing His place in our lives. It is a silent meditation done before we open our eyes or say a single word. Now we are actually going to being discussing the recited prayers of Judaism. This first of these is the Modeh Ani, the prayer said up awakening and while still in this meditative state; with our eyes closed, remaining quiet and motionless until we say this prayer. As these are the first words on the lips of every religious Jew each day, its important for us to consider their meaning. Before we begin talking about this prayer lets get a little historical background about it. Whereas with other prayers I would prefer to turn to the Shulchan Aruch, (Code of Jewish Law, 16th century) we cannot look that far back historically with this prayer. However, it would be mentioned in the Kitzur Shulchan Aruch (Abridged Code of Jewish Law 1:2, 19th century). Though Jews have always begun the morning with prayers of thanksgiving and acknowledgement of G-d, this prayer is actually a recent addition to our tradition. The first existent instance of this prayer is in a work called Seder ha-Yom by Rav Moshe Ibn Machir of Tzfat, published in 1599, but merely as an addendum.1 Based on that the prayer is assumed by scholars to have its origin earlier in that century. This is one of the most beloved of all Jewish prayers. The great love for this prayer comes from it’s simplicity. It is this simplicity that made this prayer memorable to so many people that it became a liturgical standard. It is also this simplicity that hints to many scholars that this was created as a simplified version of the prayer Elohai Neshama, which we will discuss another time. It was this prayer that was traditionally said in the morning since the times of the Talmud (Talmud Bavli Berachot 60b). This theory may hold some truth as Modeh Ani is one of the prayers that is included in many prayerbooks with a selection of essential prayers for children. This prayer is so well loved that it is often the first prayer taught to Jewish children, even as mere toddlers most every religious child can say this prayer by heart. Even thought this prayer is relatively new in light of all of Jewish history, it should not be dismissed as though it were created at whim. Prayers are composed with careful consideration of sacredness. The best way we can be sure to say an appropriate prayer is to use the language of the righteous that went before us. We pray in the Hebrew language and with the tone of our forefathers. Just as they merited to connect to G-d with certain meaningful statements, we use like words to seek to connect to G-d in the same consciousness they did. We want to have a heart like the prophets and righteous, so we model ourselves after their example using words they would use. Modeh Ani follows the general way that liturgy is derived; prayers, even the most obscure, can be drawn from and blended together with other prayers, Talmudic references and scriptures to make a new prayer. to see it in the west. Although these prayers are not know to have been made it into the traditions we know today, in the 3rd century Rabbi Shmuel bar Nachmani proposed three prayers to be said during the three times of the day; dawn, noon and dusk. Notice how two of them begin with the words “modeh ani lifanecha / I give thanks before You.” This is the first occurrence in the rabbinic literature of this phrase. They are beautifully reverent and hopeful prayers. This prayer is made of three main pieces, from all three of the traditional sources: the first piece from the Talmud, Talmud Yerushalmi shown above; the middle part as a summarization of the Elohai Nishma prayer, which thanks G-d for returning our soul; and a phrase of scripture added on at the end as we will also explore. Let us to learn how to practice this prayer by exploring the words of it. It really is so concise and clear that the lesson truely is in the telling. Unlike other prayers, this one begins as a statement and not a blessing. The reasons for this we will explain in a minute. But one thing about this wording is very telling. Unlike the general blessings that bless G-d because of who He is and because He is “our G-d” (Eloheinu); this prayer is a personal statement. In some ways this prayer has more in common with a meditation than a blessing, which you will also see along the way. The prayer is a statement that “I” (ani) give thanks to G-d. Modeh is actually a variant of the word hodah. Hodah does mean to thank, but it also has a deeper meaning. It can also mean to admit, to acknowledge, to confess, or rise to the understanding of something. This is very appropriate wording, because before we can actually give thanks we have to have the ascent of understanding that we should be grateful. Before we can give thanks we need to acknowledge in ourselves that we ought to give thanks. This is a perfect moment, lying on ones bed, with their eyes closed, before saying any other words, to consider all the reasons “I” have to be grateful. 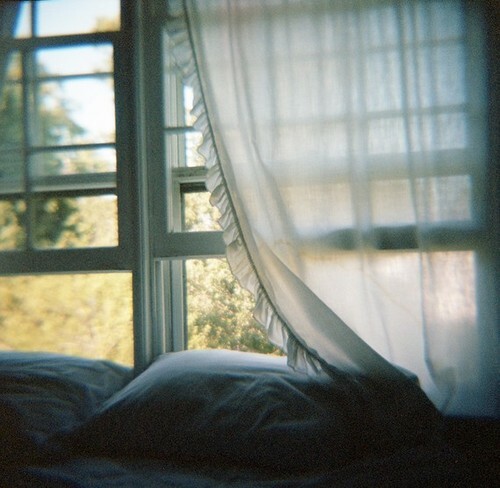 And it all starts with the obvious, that we woke up to a new day of life. Unlike the gods of the nations, with some gods ruling over certain days of the week, or certain hours of the day; our G-d is always the sole Deity in the universe. G-d is always the sole Authority. He is a living G-d, active and involved in our existence. G-d returns our souls to us. To hechezir means to return, to reinstate; simply put, to bring back. We are taught by the sages that during our sleep our soul departs from our bodies, we rest in a state that is close to death. The Talmud tells us this state of sleep we experience is so deep it is 1/60th of death (Talmud Bavli Brachot 59b). During our bedtime prayers one entrusts their soul to G-d, that He keep it and then return it to us in the morning so that we awaken. During that time it is entrusted to G-d our soul communes with Him. As we sleep our souls are able to recharge and rejuvenate (Kitzur 1:2), it returns to the Source of life from which it came and when we awaken it returns. However, during this period of sleep we are told that an unholy spirit, an unenlightened consciousness comes over us in the absence of our enlightened self. The mystics teach that a residue of the unclean spirit remains on our fingers, therefore we should wash to remove it. On a practical level, during the night we may have touched body parts that are unclean, therefore we should take care to show care for ourselves and reference to G-d to clean ourselves up before we begin our daily service. I say that because that is what we awaken to do, to serve Hashem. And just as people in the days of the Temple would wash before saying their sacred prayers at the lavern, so we too wait until we wash to say the sacred. We will talk more about that later when we get to washing. But this prayer of Modeh Ani, because it makes no uses of any of the Divine Names it is permissible for us to say even before we wash. By composing the prayer this way it was made possible to move the moment of thankful devotion from later in the morning ritual (after washing or going to the restroom, etc) to the moment one awakens. In fact, it is ideal to say this prayer before opening the eyes, moving or saying any other words. We should never feel that we are entitled to anything, most certainly none of us is a good enough person in our own merit that we can say to G-d that we deserve that He give life to us each day. The universe doesn’t owe us anything. But out of compassion and mercy life is restored to us anew each day. This word behemlah, can also mean pity. That doesn’t mean that G-d feel sorry for us in that He sees as pathetic. Its more like an adult who sees an infant needing something, this compassion is like their impulse to act to aid the child because their efforts might be valiant but they still need the help. G-d has that impulse towards us. Now at this point we are told by all the major commentators that we should pause after this word and before we say the next two words. (see Rav’s Siddur; Kitzur 1:2, last sentence). And this is where our prayer shows all the clear signs of a mediation, we have the opportunity to pause and consider this truth. We have a brief moment to consider how compassionate G-d has been towards us, and how we in turn we should be compassionate towards our fellow man; being emulators of G-d’s graciousness. surely His mercies have not run out. | ki lo chalu rachamav. This scripture charges us to understand that G-d is limitless, and thus the resources of His mercies are endless. They have not run out, they will not run out. Everyday He has just as much potential in this universe for us, its a renewable resource that can never be spent. Everyday G-d creates the day anew, and refreshes our souls anew. Everyday the world is a place of open opportunity and we are new people able to make a fresh start. We again considering the thought of how G-d is faithful, in that we entrusted our souls to Him with confidence and He returned it to us. Thats what emunah, or faith as we say in English, means in Hebrew. In this case it is used of G-d, surely this word does not mean “belief.” G-d has no need to believe anything. Instead it means that you can trust in the person to do the right thing, you can have fidelity in them. Or as we say in Hebrew “b’emunah / I swear on my life;” we can have that much trust and confidence in G-d. Here we acknowledge how dependable our G-d is and worthy of our trust. One should now rise to meet the day! This is usually followed by washing and other prayers, which we will also cover in this series in the weeks to come. 1– It has also been suggested, in a citation from the Authorized Daily Prayer Book (1946, 1116ff) of Rabbi Joseph H. Hurtz (1872-1946) – Chief Rabbi of the United Kingdom (1913-1946). Though the citations of Rav Hertz always reflect the incorrect date of publication as 1695. This is historically incorrect as Rav Machir was a contemporary of the Ari z”l, who lived in 16th century. Earlier this year with the coming of the Sefirat haOmer when I released the sections of the Nusach haAri-z”l relating to the blessings of the count I also felt the odd urge to muse concerning the kavanah (Heb. “intention;” meditation) of Psalm 67 as instructed by the Baal haTanya. Little did I know that would become one of the most well read blogs I’ve written. It was later followed up by introducing to the morning prayers the kavanah of Shiviti Hashem, as an example of meditative liturgy; this post is also one the most requested to date. In both blogs I made mention of the kavanah of the Menorat L’MaNatzeach – commonly known as the Menorah Psalm – but did not explain the actual practice of saying these menorah kavanot. But it was a good start because we got to see how to do a kavanah and then how to Shiviti, before we work on putting both practices together today. It is due to the high interest regarding this topic I will now be explaining these practices for the first time, we will start simple and continue to work our way up one level of understanding as we go. I would encourage you to read the other two blogs to get an idea of the background of such traditions, and the meaning of the Psalms itself. Here we go…. No one is certain how far back the tradition of saying the kavanah of the menorah goes. What we do know is that the custom of reading Psalm 67 in the form of the menorah was encouraged by great mystics such as Rabbi David ben Yosef Avudraham as far back as 14th century Spain. That is the same country and around the time in which the first siddurim (Hebrew prayerbooks) were created. But even before siddurim it was the custom of some to say this psalm from a written parchment, akin the the custom of the pious to read the ketoret from a handwritten parchment that some still practice to this day. Judaism has never been inclined toward using images or iconography, lest these be misconstrued with idolatry. Instead, in the near-eastern tradition art is often made of the written word. If images are use, they are generally of items which relate to the elements of the Holy Temple. In a blending of these traditions comes forth the Shiviti of the Menorah, in which the words of Psalm 67 are depicted in the form of the seven branched menorah of the Temple. Though this is often depicted in the siddurim of the orient and of mystical schools, this is more widely known for being hung in holy shrines and in synagogues in front of the place from which the chazzan lead prayers, and in sight of all to see. Rabbi Yitzhak Luria, the Ari z”l, instituted this practice and instructed that we should say Psalm 67 at certain times during our davening. First is during the morning Pekudei D’Zemirah – the introductory psalms of the Shacharit; then after the Vidui confession, and for the closing of Shabbat1. It is also included along with prayers for certain mitzvot such as Sefirat haOmer and the lighting of the Chanukah candles. Some say it after the close of the Amidah. Others say it in preparation for or during a journey. It may be said at any time.2 The custom is to read Psalms 67 in the form of the menorah whenever it is said. We begin to place G-d before us. We recognize that G-d is watching over us, so we take on a solemness of being before the King. Not only that, we focus on the placing the name of G-d before us. Not just figuratively, in its form as literally done in a artistic shviti. We mean to make a conscious choice to connect to G-d through the meaning of His Four-Letter Name, Havayah (יהוה); havaya (הֲוָיָה), as the name is refereed to among the kabbalists means being, existence or experience. In everything we encounter though out our day we make a choice to experience G-d in it. We wish to draw the light of righteousness and truth to shine over the face of the earth. We do this by meditating on this happening and connecting to the holy Name of Havayah (יהוה), to seek Hashem so that He “ya’air panav itanu / shine His face towards us” as described in verse 2. Ya’air means to enlighten, to brighten, to illuminate, and to kindle. As we focus on this psalm we consider ourselves as though we are lighting the actual menorah of the Temple. But we should not think that our devotion in any way kindles the Light of G-d, meaning to set His glory ablaze. No, the light of G-d is eternal. It is like the ner tamid, the light of the center shaft that is always kept lit day and night; unlike the six branches of the menorah of the Temple which was only kept alight at night. The center light is the Shechinah, the presence of G-d that is eternal, with no beginning nor end. It has no correspondence to anything as it is a manifestation of the Ohr Ain Sof, the Infinite Light that is transcendent; we only know it through the familiar Name of Havayah (יהוה). Thus the name of Hashem stands in the center of the Shiviti, in the place of the center light. From that eternal life of G-d’s whole and holy light we seek to light our own flame. The Torah tells us how the lamps of the menorah are to be aligned and lit. What do I mean by aligned? When the menorah was created it was made so that “v’he’ehlah et nairoteh’ha v’hay’ir al ay’ver paneh’ha / they shall light the lamps so that it lights the face of it.” (Exodus 25:37) And this is exactly how it happened when Aharon (Aaron) the High Priest went about it, as instructed by G-d through Mosheh (Moses), “Behalotecha et-ha-neirot / when you light the lamps / el mol pnei menorah / toward the face of the menorah / yairu shivat hanerot / shall the seven lamps be lit.” (Numbers 8:2) The lights are lit and are turned in order to shine towards the center light, which symbolizes the Shechinah (Presence of G-d), in order to accentuate and aggrandize it. And being turned in this way the lamps also shine off the body of the menorah as well, so that the very face of its body reflects this light and floods the whole sanctuary with light. The body of the menorah has seven branches which relate the seven lower sefirot – the mystical manifestations of Divine action in the physical world – from Chesed to Malchut.3 First we focus our minds toward G-d. Then we make the intention to take every element of our physical lives and reflect the Light of G-d’s goodness on to it, bringing the light of His presence to all parts of our mundane existence; then shinning it into our entire world. The first line consists of the first four words of Psalm 67, this is not considered actually part of the psalm but the header to it. These four words of verse 1, “L’MaNatzeach b’neginot mizmor shir4 / For the conductor, on the neginot (an instrument); a psalm, a song,” span across the six flames and the additional ornamental bowl that tops the menorah. These words help us set up the psalm. From right to left these words are set up, just like we set up our candles on Chanukah. This order of right to left is also the direction in which Hebrew is read. The letters of the phrase are almost evenly divided, to span all the branches. Now one will notice that the seven branches contain verses which are set on their side. The words of each verse span from top to bottom. It is the custom that as the words begin to bend and turn we keep the Shiviti upright, focusing in order be able (to read the verses without turning it in any way. Of course, as one reads it they should consider the meaning and significance each line. There are 49 words of the Psalm that relate to parts of the menorah body. 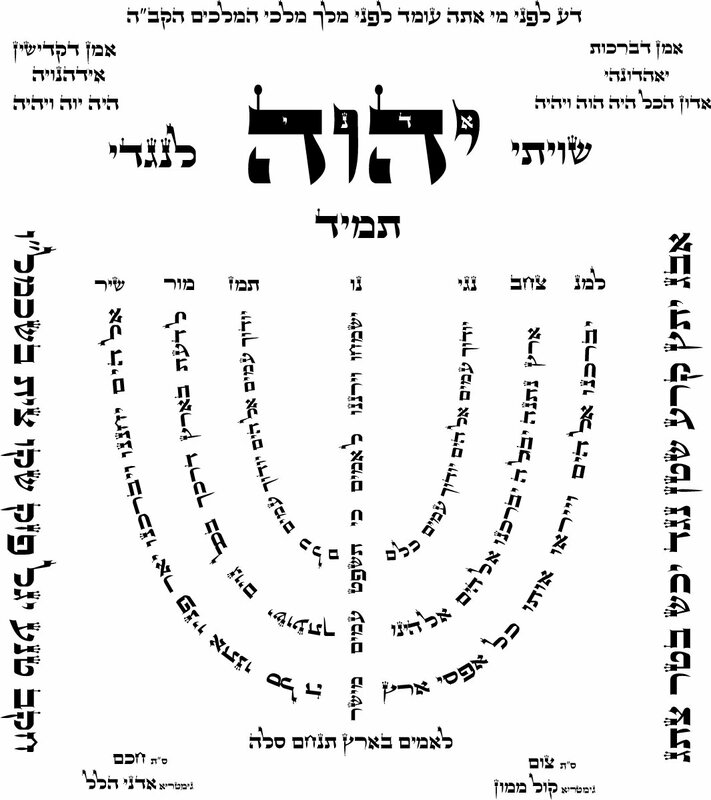 These words begin with verse 2, “Elohim yachanainu viybaracheinu / May G-d be gracious to us and bless us…” It is common tradition for the next seven verse to go from left to right. One verse for each of the branches, including the center shaft. This is candle-lighting order, the same order that candles are to be lit on Chanukah. Though the verses can be said in any order, the only requirement of our custom is to say it in the form of the menorah. There are also other ways we can further contemplate upon the menorah when lined up in this progressive fashion. Let us take a look at two more quick kavanot to further fine-tune our minds and focus, ones that can be done while saying the psalm. As we say the psalm we make notice that the verses concerning the benefit of Israel, and the well being of all the nations intertwined through out the chapter. Now notice that the 3rd and 5th branches, the innermost spanning arm contains a unique occurrence of mirroring verses. The two arms bear the words “Yoducha amim Elohim / G-d, may the peoples give thanks to You / yoduch elohim kulam / let the peoples, all of them, give thanks to You.” At our core we should be aware and intend that our actions bring godliness to all parts or our lives, so that we can show people the goodness of life for which one can be grateful. First we can start considering all the reasons we have to be grateful. Then we think about sharing this attitude of gratitude. Why is this represented on the right arm and the left arm of the menorah? Its like a person that shares a loaf of bread with a friend, he tears it in half, this is your share and this is mine; however, like a good friend, the pieces in both hands are equal. “The nations will be gland and sing for joy. and the peoples of the earth will rejoice. We are desire and intend to draw godliness in the world so that not only will we be singing and praying songs of gladness, so too will the entire world. Let let all the nations of the world sing for joy! We desire and intend to help spread equality, fairness and justice across the entire face of the earth. Also, feel like your are in a situation where an unfair judgment is hanging over you? This is a perfect time to open one’s heart and feel the light of G-d’s truth illuminating the situation so that the darkness of confusion dissipates. It is with great excitement that I release the two shivit shown above that I have created. They are according to traditional texts and created after carefully comparing many traditional sources. As this is a liturgy based project I am keeping my commitment to partner with the Open Siddur Project, and release traditional materials with a Creative Commons Zero licensing. Using free and open source material that are free of copyright helps enriches the entire Jewish community! You may download, print, copy and redistribute this material as much as you want. These items are now liberated and the property of the entire Jewish community! I owe a special thank you to my friend Aharon Varady, founding director of Open Siddur, for guiding me through the design of these graphics. Included in the following packet are the two full paged shviti presented above, and a new translation of Psalm 67 with brief instructions to help you focus on each branch of this kavanah. To download click on the image below. As usual, this is a work in progress. Do keep a look out for future updates and additions that are sure to come! 1 – It is not the case for Ashkenazim to say it motzei shabbat, as expressed by the Rema in the Shulchan Aruch. Nor is it the custom after the Vidui, which is a Sephardic custom. 4 – however, here it includes a Vav, coming from the use of a holam “וֹ“, thus a silent letter for the sake of implying a vowel. However, the Vav is intentional, as it represents a dividing line of one side from the other. If one was to ask a class of observant Jewish students what the first prayer in the siddur (hebrew prayerbook) is just about every hand would go up in the air. It’s seems like an obvious answer for most of us. But of course, if this was a real classroom I would be pulling a Lisa Simpson and complicating the matter by pointing out some geeky fact that turns the questions on its ear. You know the type, the preschool kid that tells the teacher she’s wrong because it was Copernicus that proved the world was round. No one likes a know it all. But, truthfully the answer is not quite as cold cut as it seems. And my reason for pointing out my odd fact is not to be an intellectual elitist, holding on to some more stringent view. Let me explain. First off, it would be helpful if before we start talking about liturgy we understand what we are discussing. Liturgy has always existed within our tradition. The most published portion on the holy scriptures, probably more so than any book, is the Book of Psalms which is clearly written as a collection of musical and liturgical standards. Repeating holy scriptures was our first stab at formal prayer, and in some cases fixed prayers later became enshrined in holy scripture. The influence went both ways as scriptures and Temple prayers developed. When the Temple era came to an end, with the destruction of Jerusalem in 70 C.E. prayers took center stage as prescribed in Isaiah chapter 1, to offer sacrifice of the lips instead of animals. Fixed prayers from the Temple were now elevated in significance, and new prayers were added over time to deliver something worthy of saying for just about every occurrence and season. But the siddur, the prayerbook we know today would not make its rise until around the 15th century at best and not widely available as a complete work until the mid-to-late 19th century. For most of our history people have just repeated prayers they knew from their common recurrence in our life-cycle events. And when in doubt people would turn to their rabbis for advice. Through out the ages we have learned these prayers like one learns a song, that is our liturgy. The tune and delivery I use my be different from yours, but that’s the nature of song. But no matter how it’s delivered, it’s a homelike tune we all relate to on some level. As the treasury we know today as the siddur was being developed, so too the school of Jewish mysticism was on the rise. The mystics were a group of elite rabbis who collected prayers, but for a different reason than to just know what to say on a given occasion. They knew the prayers by heart, they didn’t need a script. Prayers collected by the kabbalists were incorporated in their own siddurim, but these books mostly served as commentaries on selected prayers. The commentaries contained many diagrams and instructions on how to focus the mind in a meditative way though kavannot (Heb. “Intentions”). As I briefly touched upon in my last weeks look a the kavannah of Psalm 67 for the Sefirat ha-Omer, the Baal haTanya – Rabbi Shneur Zalman of Liadi, the first Lubavitcher Rebbe – was one of the first of the great rabbis to really take the mystical traditions of the Lurianic kabbalists (the followers of the ARI Z”L, the great mystic of the 16th century) and present their customs in a complete liturgical work for congregational prayer and daily devotion. The Baal haTanya’s siddur was intended to teach the common man how to pray, a much needed aid that was starting to take root during the late 18th century in Europe. His simplification came by focusing on documenting the things that needed to be said, and leaving out silent meditations. The Baal haTanya provided his chassidim with a siddur that made full use of the richness of Jewish prayer that Eastern European Jews enjoyed and carefully conformed it to the teachings of the ARI Z”L. The text the holy Ari adopted and taught from was the Sephardic tradition, the liturgy documented by the Jews of Iberia and intern favored by the Jews of the near-east. 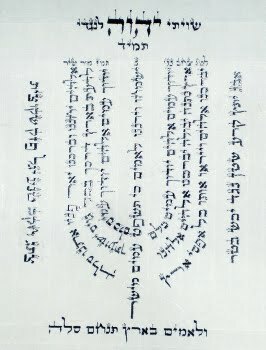 The Baal haTanya conformed his text to that style and incorporating many of it’s unique prayers. However, interestingly, prayer books like Eastern Europeans enjoyed were not at all common in Sephardic and Oriental Jewish communities. There was more documentation about their prayers and customs in classical legal works and kabbalistic commentaries they called “siddurim” than in any book dedicated to how to say your prayers or lead a service. Simply put, it wasn’t as needed because there was greater familiarity with the Hebrew prayers for the Jews of the near east. 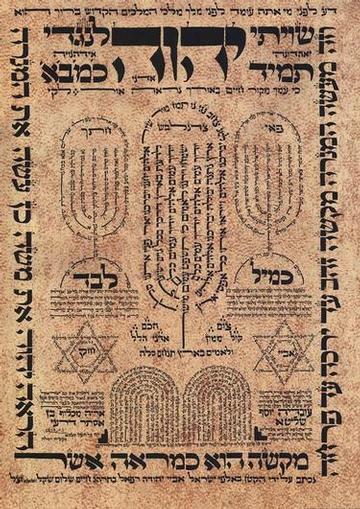 In the end as Sephardim and Mizrahi Jews began to formulate true prayerbooks for their prayer services like Ashkenazim (Eastern Europeans) invented, they brought in the silent meditations presented with their highly involved diagrams. Why? Partially because of their familiarity with them. Secondly because, in the days before the prayer books the diagrams were often enlarged and displayed in synagogues and holy shrines for one to use as prayer aids. It just seemed right that they belonged. If this was a real classroom I would hear just about every western, observant Jew gasp. This is problematic because at this point in history we all accept that the first words of out of our mouth and before we open our eyes is the prayer Modeh Ani, that we greatly thank G-d. Of course we also obsess over the different customs of washing among the different sects of Judaism, but we all accept in unity that we don’t intone the Four-Letter Name of Hashem in the first prayer we say of the day and instead wait until we get around to taking care of our business. So we all start with this prayer that refers to G-d, but without explicit use of the Four-Letter Name (יהוה). So ingrained is it into the mind of observant Jews that this prayer is taught and known by the children as some of their first words. Really, before some Jewish toddlers can tell you answers to simple questions they already know how to say this prayer by heart. Though in our different communities we might truncated the prayers to make them easier to say for children at first, Modeh Ani is not one of them as we want them to learn it in full. This is our first confession of the day. I don’t want to spend too much time of it, as we will get to this prayer next week, and I’ve already taken us the scenic route to the point of all of this. Now, there is probably a reason other than just typesetting that explains the juxtaposition when the Baal haTanya repeats this law; to make it clear to his reader that this is a thought and not a statement he moves it to the end and adds the words “k’umo shekavut / as it is written.” He wants his chassidim to know this is a thought, it’s not spoken words. Like it’s written, it remains written but not said. As I have pointed out, when he created his siddur the Nusach Ha-ARI Z”L known as Siddur Torah Ohr (the precessor to Siddur Tehillat Hashem) he focused on the spoken words and not the meditations. However, if you look closely, it was not a forgotten point. It just became mentioned in the notes (which are exact quotations from his Shulchan Aruch). And this is primarily the differences between the Nusach ha-Ari (Chabad) tradition and the Nusach ARI Z”L siddurim of either Sephardic or other Chassidic origins. The nusach of the Sephardim/Mizrahim and other Chassidim have been heavily influenced by the teachings of the ARI Z”L and following his teachings so their prayers are Nusach ARI in their own right as well. However these other texts tend to contain many meditations and silent things that are not meant to be spoken out loud, and contain local variances and customs. This pretty much sums up the differences. The ARI Z”L never wrote a siddur of his own, and for that matter never wrote any writings for himself. Instead we learn of his wisdom through his student Rabbi Chaim Vittal and his other disciples, so we all just copy his teachings. Thus no one can lay claim to having “the” Nusach ARI. The Nusach Ha-ARI Z”L is a way, not a thing. I say all of this because as we start to step into the study of the siddur I am going to be presenting the text according to the Nusach Ha-ARI Z”L. This is most often going to be based on the text of the Lubavitcher Chassidim, the text I have adopted and utilize in my daily prayers. Though at other time I will mention the Nusach Edut haMizrach, the tradition of the Sephardic and Middle-Eastern Jews; which is my tradition by birth. I do this to be intellectually honest, I can only share what I know. This is what I understand so that’s all I feel free talking about. But I will try to touch on other unique aspects of the different traditions when possible. But I hope we all understand that when we talk about the siddur we are talking about a growing and living thing that we all need to be flexible and giving towards. Because it’s something different to us all. And that is okay and possible, without compromising anything! Nachon, got it? Now on to the fun part. As we have discussed, the generally universal tradition today is to always start our day with a prayer of thanks; this is the Modeh Ani. It is the custom to not open one’s eyes nor say any other word in the morning until we give thanks. But we don’t say any Divine Name until we wash out of respect of G-d and in respect of our need for self-care right away. However, before we open our eyes it is a good practice for us to mentally make ourselves aware that Hashem is before us at all times. We can even visualize the Four-Letter Name (יהוה), but not say it. This is something we should all be able to agree on, it is appropriate. when before the presence of a great king. he speaks in the court of a king. stands over him and observes his deeds. out of sight, will I not see him” says Hashem. and be bashful before Him always. who mock his service to Hashem. know before whom he is lying. Make The Name of G-d Apparent – even before we have opened our eyes or moved to get up we are to think about G-d. Placing G-d before us means that we make a mental commitment to act as though we are in the presence of G-d. Just like if we were in the presence of a king or judge we would want to behave becomingly, we should recognize our lives are watched over by G-d. This comes with a benefit, on one hand we have G-d looking out for us to administer liberty and justice. But we also have a responsibility, to recognize that G-d demands that we behave as decent people in our dealings even when we think that no one else is watching. Before we open our eyes, we determine to behave as noble and dignified people in our dealings; both in public and private. If we can do it in our private lives we won’t have slip ups of bad actions in public. Consider Where G-d Is At In Our Lives – the entire world is filled with G-d. We understand, in kabbalistic principal, that G-d is the Ain Sof; without limits, without end. But that also means that though G-d is not one thing or a person, His very sustenance and glory fill the entire universe. G-d’s glory exists in everything and everywhere, no matter how much any of us try to take credit or mold things our way. We need to consider that there is nothing outside of His realm of influence or where His rules of goodness need not apply. We need to think, how would we act if G-d was a person standing over us and observing our deeds? It’s not that G-d is watching over us like a prison guard waiting for us to slip up. Actually, the relationship is one in which G-d is given credit for everything we enjoy and every opportunity we have through a blessing. In order for us to do something that is wrong most people out of seeming shame decide that they will not say inappropriate blessing for whatever action or item they are illicitly enjoying. But just because we don’t mention G-d doesn’t mean His ways don’t exist; that’s as silly as pretending your spouse doesn’t existing if you turn around their portrait. We should discipline ourselves to know that godliness is displayed through creation, progress, wisdom, prosperity, etc. Everything we see is a manifestation of G-d’s order, if we understood that then everything we see will begin to remind us of G-d and His ways. Be Bashful Before G-d – often times when people speak in the English vernacular we refer to this concept as being “ashamed before G-d.” Though this is not a mistranslation, it’s not exactly a one-for-one rendering. Even before we get up out of bed and out of the sheets we need to understand that we are completely exposed before G-d. But its more than that. As we begin to engage in our daily needs and we assess the day we can stand amazed at how brilliant the Creator is. Everything we begin to do and enjoy has blessings traditionally associated with them. Sometimes the truth of it just hits us, we just have to say “wow, it really is amazing that all these things necessary for life work out for me day after day.” Life is a complex function, with many dependencies for us to just to wake up let alone get through the day. G-d is called Chai haOlamim – The Life of the Worlds – all the universe and life within it is an extension of Him and sustained by His will. Even us. We are just a small part of this big universe, yet even as simple people we benefit from so much that we can be humbled. We feel so small before G-d and the universe that we become like a child with a surprise gift that is so bashful for being remembered that they want to hide shyly. We should always try to retain this type of wonder with the world. But Don’t Be Ashamed Before Men – even before we move from bed, to get out from under the sheets we make a conscious choice to not feel embarrassed or foolish for our wonder of life and our respect to honor the little things in life, realizing that all these small things when they come together make our world so much better. There is nothing mature or smart about taking for granted the gift of life and the wonders of the world as the self-proclaimed intellectuals of our age like to flippantly do. They say that nothing you do as an individual matters that much. Some suggest that religious people thinking G-d considers their needs and betterment to be egotistical. Others suggest a faithful person is needlessly groveling and that his humility is a sign of mental weakness. Either way, it can be hard to face the world some days because people are so jaded that many will attack your devotion for reasons of humility or ego; you just can’t do anything right. But we aren’t supposed to hide from the world, we are called to transform it. That mean’s we also aren’t to conceal our service to G-d and pride in being our true selves, because it is through those things that we exemplify the truth of our values. Our actions speak louder than words. Wake Up With Enthusiasm – if we really took to heart the idea that G-d watches over us then we would realize that we are laying before the Great King. Just as people jump up from bed with excitement if an important guest suddenly showed up, we need to wake to the day in order to serve G-d. We wouldn’t leave a king waiting at the foot of our bed, no we would jump up quickly and honored to be of service. How do we do accomplish this? By arousing ourselves to get up and wake the day. It means more than just getting up. The battle of our day starts even before we open our eyes or say a word, it starts when we actually wake. We should arouse ourselves to wake with all the agility and excitement that a youth would show toward their beloved. The counting of the omer is one of the most mystical rituals in Judaism. It’s reflection on the elements of burnt offerings, as with all offerings and sacrifices, has been interpreted as a symbol of spiritual elevation. Both the topics of sacrifice and ecstatic spirituality so much turned off modern and “enlightened” people that many communities had abandoned the omer all together. Interestingly though, in recent years the resurgence of interest in mysticism has caused such a demand for these type of prayers that you will now find them in the siddurim (prayerbooks) of just about every movement of Judaism. The other prayer making an amazing comeback is the Ana Bekoach, which is usually paired closely with Psalm 67 in Chassidic and Sephardic siddurim. The Ari z”l himself instituted the inclusion of Psalm 67 and the Ana Bekoach into the daily prayers and when performing special mitzvot. However, the method that was related from the Ari z”l through his disciple Rabbi Chaim Vital in how to recite these prayers was presenting in very detailed kavannot (focused mediation) that were very complicated and involved. Psalm 67 is a great example, because the method most often used to meditation on this verse was not to just read the text, but instead to imagine the 49 words being a 7 branched menorah, with each of the 7 branches containing a verse of the Psalm. 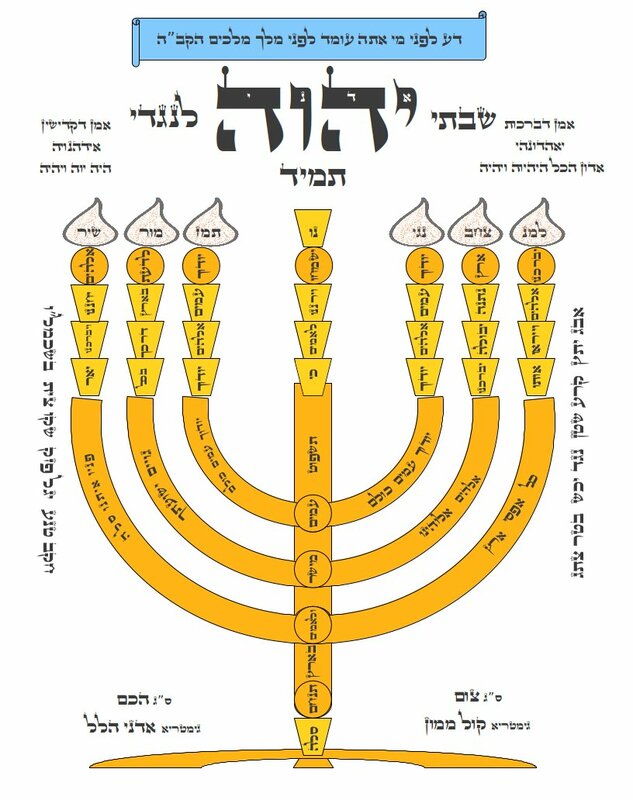 Each of the branches relates to one of the 7 sefirot that are active in the physical world, just as with each of the 7 lines of the Ana Bekoach does as well. The Nusach Arizal as presented by The Baal haTanya – Rabbi Shneur Zalman of Liadi, the first Lubavitcher Rebbe – though it is a kabbalistic prayerbook, was purposefully freed of nearly all the kavannot in order to focus on creating a prayerbook that was appropriate for users of all skill levels. Complicated diagrams and pages of meditation material interspersed within selections of actual prayers were put to rest. Instead his text was complete yet concise, as well as clear and understandable as a true liturgical work. Though the Baal haTanya did not include the meditating upon the form of the menorah, he did prescribe a reading of Psalm 67 and some interesting kavannot relating to it. What made these kavannot so meaningful that he felt compelled to include them? It is quite standard for most traditional siddurim to include the reflection upon the names of the sefirot relating to the day. Less common is the meditation of assigning one of the word or names of the Ana Bekoach to each day, though this sometimes appears in the Sephardic and oriental texts. However, in addition to including a plain reading of Psalm 67 after the counting of the omer, along with the prescribed words for declaring the day’s count one is also provided one word of the psalm and one letter of verse 5. Psalm 67 contains 49 words, and verse 5 of that same chapter contains 49 letters. There are 49 days counted in the sefirah period, so each day one focuses on one pieces of the picture for what we hope to achieve during this time of personal reflection. May he cause his face to shine upon us. Here we see that this second meditation, upon verse five, seems to be a related to conceptualizing human equality and the pursuit of happiness. So we have prayer for the blessings of the nation of Israel, and a reflection upon the goal of universal betterment. For a start, we see that it is a good practice to be as concerned about the welfare of all people just as much as we are concerned for ourselves. It is balanced. and your salvation among all the nations. The topics are not unrelated. They are completely related because we are people in need of blessing, just like the rest of the nations of the earth. However, it asks for blessing for Israel not merely for our own contentment but in order to enable us to make the ways of godliness known to the people of the world. It asks for blessings so we can share it with others and model graciousness. We ask for the face of G-d to shine upon us so that it can reflect off us, that we be spotlighted as an example of salvation. There are plenty of people out there who say that this dream is impossible to achieve, and therefore foolish to consider. But being able to show this truth through the example of our own experience is the type of truth people cannot easily deny. In fact we see a few times in verses 4 and 7 that when this happens the people will then be able to “yoducha” which means to admit and acknowledge, as well as give thanks. That people will see the goodness of this way of godliness for themselves though our lives. Then the nations will even become glad, knowing that there is hope for themselves. Now we have a good clue as to why this verse is appropriate for this season of harvest, because it references this good fortune of the reaping already taking place. And yet it still asks for being blessed, which only makes sense in the classical sense of being consecrated and not according to the misconception of blessing as random fortune. When we think about it this way, these meditations become a beautiful way of looking at why we are going through this time of personal reflection and development during the omer period. The reason the children of Israel went through this process of development for the 49 days after the exodus was to be prepared to receive the Torah. We all know and recognize that. But what we are doing here in these meditations is deeply focusing on the reality that the Jewish people are blessed with Torah in order that all the peoples of the world benefit from it. | veyir’u oto, kol af’sei aretz. It is very easy for us to just scan Psalm 67 and quickly dismiss it as arrogant and nationalistic. Or we might lazily just look at it, then simply conclude that their incorporation into the siddur was only because the body of the text has 49 words and coincidentally a verse with 49 letters as well; just like the sefirah period counts 49 days. Though others might say it was just a pretty random pick, chosen because it quickly mentions the reaping of the earth’s produce. That might be an easy assumptions for scholars and even some general Hebrew speakers I suppose, because a simple reading brought these ideas to mind even for me. First, read it all; be patient with the process. Second, remember that as people who practice Judaism everything we read has to be thought of as a way to help us make tikkun olam – reparation of the world. If it doesn’t then we are reading it wrong! During the Sefirat haOmer we have a moment everyday for nearly 50 days to pursue personal growth in order to be a better example of goodness, and be a favorable display of Torah powered chesed (kindness, goodness). If we follow through we are assured results that will amaze everyone, maybe even ourselves! Ready to make it happen? You can download the blessings for the Sefirat haOmer hosted HERE or also graciously hosted by The Open Siddur Project HERE, as well as find all other related liturgical transcriptions.